@Gybrecht explanation is a bit complicated by an unknown second person taking over control of the cockpit. The most simple explanation is that we witnessed a well-planned pijacking by ZS. Stall at end, if it happened, and I do believe it may have, is consistent with a climb and glide, unfortunately. Glide could start as single-engine flight so distance from Arc7 could exceed 200-nm I feel. If true, one hope for search is the home simulator case, if that possibly represents what was actually done. 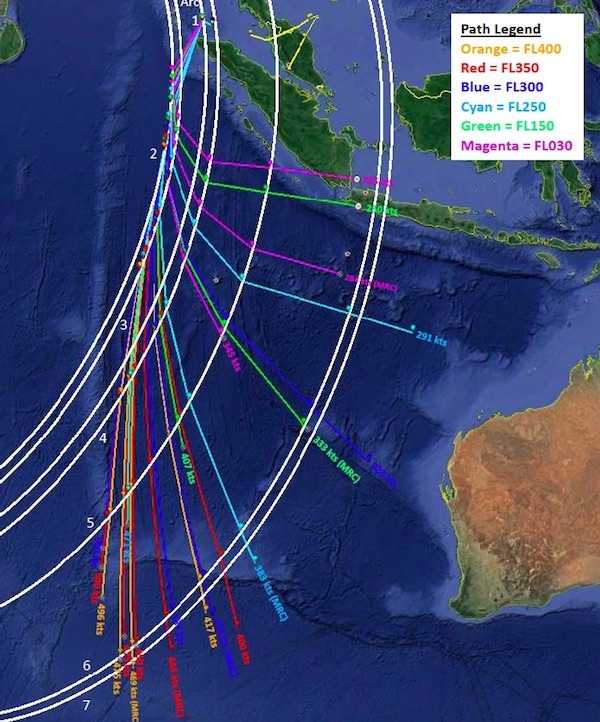 In that case, MH370 crossed Arc7 at around 30 South and kept going. @TBill, The “pijacking” explanation is admittedly simple but it does not fit the data well–the SDU reboot being just one glaring problem. As to the “stall,” I’m sure you understand that a plane does not stall when the engines stop working. Again, it is hard to imagine a scenario that would result in an aerodynamic stall at 40,000 feet (or whatever). People may criticize the spoof scenario as “implausible” but the fact is that it is the only scenario that anyone has come up with that attempts to explain all of the data points we have in hand. What makes it ‘hard to imagine’? It would not be the first time, even with qualified pilots at the controls and all engines operating. With an unqualified person at the controls it is more likely than not to occur after all engines stop working. I’m sure the flight crew of AF447 had hoped you were right on that. That ‘simple explanation’ ignores all indices that do not fit an eminently qualified pilot conducting a ‘well-planned’ pijacking. If we follow JW’s logic of disbelieving that there would have been a relevant chance of such a reboot occurring “naturally”, which I think JW argues very convincingly, then we are left with a conundrum. If we take it as evidence of tampering/spoofing of the Inmarsat data, it would actually point not towards the easiest, most obvious perpetrator. Namely, I if anyone would have wanted to spoof Inmarsat data, obviously it would have been easiest for Inmarsat themselves, likely upon orders by the UK/US. However, if Inmarsat had spoofed the data themselves, then why not generate a clean, pretty data set without a suspicious reboot? I mean, if it had been them, they could have “done better” very easily, and I cannot see any plausible reason why they should fake a reboot. (Ideas I had include that you might have wanted to make the data not look too clean to make it look more “real” but frankly that doesn’t make sense, or maybe an issue of timing, if you want to have the later data points at specific times or maybe have the end point so that the computed most likely area was large enough for the “we searched a lot and didn’t find it because the possible area is so large”-logic to work but again, I don’t find it plausible). So, what this leads me to conclude is that if the Inmarsat data was faked/spoofed, it wasn’t Inmarsat themselves. (I also regard them or the uk/US secret services as too technologically savvy and competent to have done this by mistake). @somebody somewhere, Even if Inmarsat were complicit, you still need someone on board the plane to physically hijack it, and given the oddity of the SDU reboot I think that in any spoofing scenario what would be the primary explanation for the alteration of the data. As for perpetrators, I’d simply point out that if the data was spoofed, we only know of a way that the BFO data could be altered, not the BTO data, and the BTO date indicates that the plane went to Kazakhstan, which is a close ally of Russia. @sharkcaver, @Gysbreght, As AF447 demonstrated, aerodynamic stalls during the cruise phase of a commercial widebody flight are as rare as hen’s teeth. And when the do occur (off the top of my head, honestly, this is the only example I can think of) severe weather is a factor. Not the case here. I do not think the rebooot is suspicious from the perspective of an intentional hijacking. There are 2 possibilities: (1) is intended diversion/safe landing in which case the satellite phone is needed for communications, and (2) is pilot hijacking/suicide for the apparent purpose of protesting the (now ousted) Razak political regime, in which case satellite communications are needed to verify to Malaysia that the aircraft did not crash due to mechanical failure. Not to mention any operational needs to fly the aircraft. If Inmarsat had been complicit, surely they could have doctored the data ad nauseam before releasing, or just simply generated a completely fictional data set in an excel spreadsheet?? Surely they would not have needed to actually use any real data, if such had existed at all in such a scenario. This is what I tried to say – they could have released a “nice” data set without a suspicious reboot. The fact that the data was inexplicably “weird” (containing an “oddity” as you put it) leads me to believe that it hasn’t been post-produced, (or completely invented), by Inmarsat, ergo excluding involvement of the US and UK. And as far as I understand, no, the data is inconclusive and does not point exclusively to Kazakhstan. All we know for sure (if you accept my above logic) is that Inmarsat picked up signals that must (this appears to be an actual requirement) have come from somewhere in the vicinity of the satellite. As far as I understand, the signals could f ex have been sent by a Chinese ship somewhere in the Indian Ocean. Of which there would presumably have been sufficient numbers. The Kazakhstan theory, if I may add this, suffers from a lack of a plausible motive, as well as the question of how the plane would have been piloted all the way through very contentious airspace to Kazakhstan. @Jeff Wise: How does the end-of-flight reboot and resulting BFO’s fit into your spoofing theory? @Gysbreght, In the spoof scenario, the 0:19 reboot is caused by the same thing as the 18:25 one: tampering. In the latter case, the intention might have been to create data that suggested an end-of-flight dive, or the data was an unintentional byproduct of the system being configured, for instance to set up for landing. @TBill, You don’t need isolate the entire electrical system to use the satphone. In fact if you wanted to use the satphone you wouldn’t have disconnected the SDU in the first place. Zaharie couldn’t have known that position information could be inferred from the comm signal. @Somebody Somewhere, I think you have been misinformed about the satellite signals and how they might have been altered. There are a lot of wild statements out there circulating from people who claim to know what they are talking about. No one, for instance, has come up with a plausible mechanism by which a ship in the Indian Ocean could have produced signals that would replicate what Inmarsat received. If that had been the motive, wouldn’t a landing on Christmas Island (for example) have achieved that purpose more effectively? @Jeff Wise: Please explain how your method of tampering with the SDU could have produced the two final BFO values without a steep dive. @Gysbreght, I would think it self-evident that if you are in physical possession of the SDU and understand how it works then it would be trivial to generate any value. @Jeff Wise: Let me just say that it is not self-evident to me that it would be trivial to generate two widely different values 8 seconds apart, the second value in split-second response to the ground earth station. It also does not seem trivial to gain physical possession of the SDU located above the cabin ceiling, while at the same time navigating and manually controlling the flight of the airplane from a pilot seat and keeping 200+ passengers from interfering. @Gysbreght, I think you’re basing your expectations for the BFO values on how the box normally works. If it was being tampered with, there is no way to know what state it was in, or how the algorithm was generating its precompensation values. There were three Russians on board the plane, so the workload would not be particularly high if all the passengers had been eliminated through depressurization, which seems likely. It is indisputable after 4 1/2 years, the disappearance of MH370 remains immensely void of reason. The allignment of components needed to facilitate the plane’s disappearance appear virtually flawless. If this coordination points to a produced disapperance, rather than a “perfect storm” of random occurance, the motive and the orchestration of it, cannot be viewed simplisticly. Yet the contingent of pilot blamers seem content to award Captain Zaharie all the credit for an atrocity which he was severely under qualified to deliver. Simply because he was the scheduled pilot in the cockpit. Beyond that, there is no proof of what occurred on Flight MH370, a very crucial thought to embrace. Nice to see you engaging again and kudos for standing by your theory. I can imagine the repetition of the mouse wheel makes incentive to comment difficult. You have been at it a long time and it can be a fairly thankless undertaking. I continue to appreciate your labor. @Susie Crowe, Thanks–I did duck away for a bit. I appreciate your support, as ever. @somebody somewhere I wouldn’t technically call what happened to the SDU a ‘reboot’, it’s more like turned off and turned on again quite a while later. Reboot would mean it turned back on within a few minutes, same as your computer’s reboot. If it had been a reboot, then that wouldn’t have been as interesting, as the fact that it turned off completely. More interesting is also that the captain had a simulation of landing at Diego Garcia in his simulator. And even more interesting, is that on the island of Diego Garcia, you will notice the ‘Air Force Satellite Control Network’ is there.. of course it could’ve been anywhere in the world, but it’s just interesting how all these coincidences are piling up.. If the SDU had turned on when the primary radar was on, we could’ve reconciled the SDU data with the primary radar data, and every 30-60min later, we could use the previous data to ensure the timestamps are coming in at the exact interval they should be. The only other less out there theory would be that the captain turned off the left side bus which turned off the SDU in order to disable the cockpit door and lock the co-pilot out. But I’m not sure if this is how it works, can someone chime in on this? I noticed the bus turned off the cockpit door among other things, but nobody has mentioned anything about it. How would you lock the copilot out if you were the captain? Would isolating the left side bus do it? .. It could be, that this pilot was fascinated of the miracle on the hudson landing as well as the Helios ghost plane, and decided to play out both of them. This was my initial thought… he locked the co-pilot out, de-pressurized the plane, then kept on flying until a spot he picked, jettisoned the fuel and did a miracle-on-the-hudson landing. He then opened the cockpit window and would be able to walk on top of the floating plane.. Somebody would even be able to pick him up, or maybe he floated on a dinghy and is still alive somewhere in the world, to see that his disappearing act has worked. Does anyone have information about how one would go about de-pressurizing a 777 at altitude? On older planes like Helios it was as easy as pushing a button..
It’s unfortunate the primary radar could not give any good altitude readings, but they did say it maybe did a dive.. which would have made sense, since even with the oxygen mask on, at 45,000 it still would be difficult to breathe. I’m also reading that the cabin crew could have sent a satellite communication from the cabin on Quora. Would this sat comm have been impacted by the left side bus? In the event of a sudden de-compression, the crew would not have had time to do anything because they’d be trying to get their masks on.. later they say the aircraft reached 594 kts… could this have been caused by a high speed dive? Anyone know the timeline, when did it reach 594 kts, how soon after going dark? Could he have been trying to shake up the crew in the back still .. They had 10 minutes with the masks, and the crew would be trying to grab an oxygen tank.. something he obviously would not want to happen. In your article you mention only the CVR would be of interest.. I think the satellite phone service, if MH370 had one, would be of even more interest.. If the co-pilot got locked out, he may have tried to call it in and would ruin the entire plan for a captain trying to create a mystery. The cabin lights being out would also be of interest to create further confusion for any crew trying to get an oxygen tank or send out any distress signal in any way.. but it looks like not all lights went out anyway. Also, the plane turned right, and then left.. another indicator that he was shaking up the people in the back.. He could’ve just turned left. I’m not sure how much it helps to understand what happened to the people in those 10 minutes.. but the fact there was no communication from the cabin means whoever was in control made very sure that they could not communicate..
on qualities beneficial to systematically murdering hundreds of people. @Susie Crowe when you’re in the cockpit you don’t really see the hundreds of people.. If he had it set in his mind that he wants to create something like what happened, he would’ve seen all previous work of pilots who locked out other pilots, decompressed the plane in the air, etc… and the more he learned about it the more tempted he may have got to trying it out. If his life wasn’t going so well, it would make sense. If he had a happy life, then it wouldn’t make sense. “Zaharie Ahmad Shah said the 53-year-old pilot had been distracted and withdrawn in the weeks before the aircraft’s disappearance – and refused pleas to attend some marriage counselling sessions” ..”He shunned family and spent hours alone on his flight simulator” ..
Two things are for sure.. he loved planes, that’s why he built his simulator..and his life was going well.. put those two together, and MH370 could easily be the result.. In all likelihood, I think this is what happened.. It’s funny how odd facts pop up and make almost anything seem like it was faked though.. but a lot of things happen that way when they really are for real, so I think sometimes it’s good to check the real facts and hope for the best. Hopefully one day the plane is found. @Jeff Wise Considering the captain spent many hours simulating, something like a high speed dive followed by a landing on water could be entirely possible. Maybe he just wanted to test his skills by doing some crazy maneuvers.. or he changed his mind.. although, I think it’s an extremely difficult thing to change your mind about that if you’re out of fuel. Also, if the whole thing was planned by the captain, I don’t think the plane randomly ran out of fuel somewhere.. he would’ve picked some coordinates.. maybe something meaning to him.. or the deepest point of the ocean in that spot.. that’s where I’d be searching first, especially that trench. @Susie Crowe What makes you think the Broken Ridge theory is not possible? The trench is called “Broken Ridge”.. and his marriage was about to go south, and maybe he was heart broken.. broken goes with broken, so he picked that spot. Any facts or anything you have that says it’s not possible? @Susie Crowe Why are you saying the captain was under qualified to deliver such an event? I think he was perfectly qualified. That is a heck of a lot of experience, plus with his simulator, he had everything he needed to pull off something like this if he wanted to. Not many pilots take the time to build a simulator in their home.. this speaks volumes to how much he was into flying. It was his life.. Not all pilots are so passionate about it, they fly, they get home and they’re a normal person.. The fact he had a simulator means he wanted to know everything about flying.. simulate scenarios, see what happens.. he was curious.. he would probably be the type of pilot who wanted to know everything about the plane, not just fly it. Now, we know his marriage was failing, and he was withdrawn, skipping his marriage counselling.. what more do you need?.. If he got any worse they probably would’ve suspended him from flying. Maybe he knew it was coming.. maybe he got depressed. There are surely lots of things we don’t know, and we can’t rule out anything until we have something that proves it. @Susie Crowe And just so you know, I’m not saying he did it 100%, but the scenario is there, and all the pieces fit. If he was reported to have been a happy person by his family, then the scenario would go out the window, but the fact he was having issues is a big one. Being unhappy leads to depression, which leads to bad things. Well first of all, can we refer to the “BFO” and “BTO” values as the signal Doppler shift and signal time of flight. Because that’s effectively what it is. In order to manipulate time of flight, you have two options: if you’re as close or closer to the satellite as you want to appear, you tell your transmitter to send it’s reply signal with a slight delay. If you’re farther away, you need to know precisely when the satellite sends its ping such that your transmitter can send its “reply” before receiving the satellite’s request (this would be another reason for resetting the pings – your “reboot” – you could synchronize your own transmitter). As for the Doppler shift, it’s frankly not super complex to do this if you have a physics background. It’s more, not everyone knows about this or that Inmarsat could try to determine the planes direction versus the sat from the Doppler shift. Again, my takeaway is that this was done by very competent actors. Further to my “China” theory from earlier, if you take into account the reset, actually you would not even need an asset in the Indian Ocean, since if you have I transmitter on the plane that is synchronized to the satellite’s ping interval, you can game the time of flight without needing to wait for the satellite’s ping first. It means you could take the plane, spoof the sat data from on board, and fly the plane to China. Often it is helpful for people to take their own advice and always important “to check the real facts”. @Somebody Somewhere, It doesn’t work the way you describe. For instance, there is no “satellite ping interval”; yes, Inmarsat would ping the plane after a roughly one-hour interval, but it isn’t exact, and it is reset any time the system is used, for instance when Malaysian Airlines tried to call the plane. And no, the BFO is not the signal Doppler shift, it’s the Doppler shift modified by an algorithm intended to erase the Doppler shift. I would however agree with your conclusion that this was done by very competent actors. @Me Ja Yung, Oh, good! Welcome to the blog. As far as intentional depressurization, yes it is just pushing a few buttons. Aircraft typcially have 2 outflow air valves, which the pilot can choose to open. Also the incoming bleed air can be stopped. In the case of Helios, a mechanic accidently left the outflow valve partially open in manual vs. normal (automatic) position. The mechanic even told the pilots to check that, but they were too hypoxic to grasp what he was saying. They pilots should have been able to figure that out themselves, in the pre-check, and with all the alarms etc. That’s important to hear you say that. Fundametally that’s why the public is being told there is no knopwn cause of this accident, because the apparent truth is very controversial and distasteful. I am open to the Xmas Island diversion theory, either as the actual strategy, or as the fake strategy told to some people prior to the flight, to gain their cooperation and to leave behind “proof” that this was not a suicide plan (when in fact it really was). 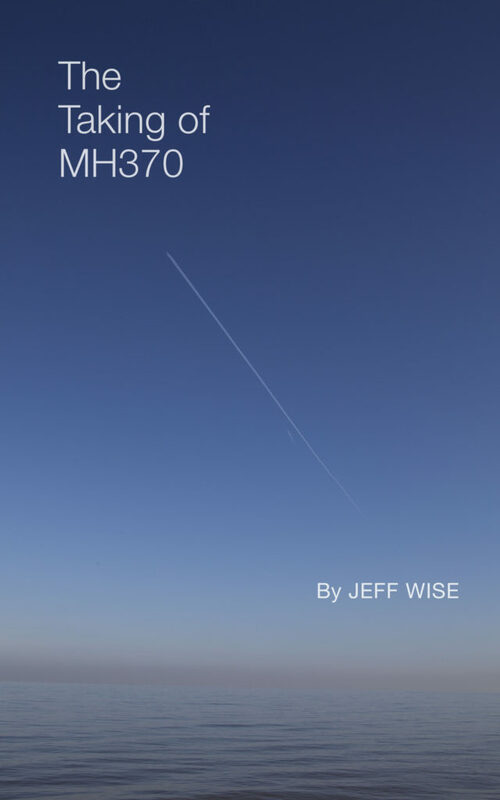 I look at this tragedy as possibly the ultimate deniable pijacking, with many proactive steps taken to avoid leaving direct evidence (cutting off of flight data recorder, etc). If so, the plan seemed to backfire when Razak never acknowledged the pilot apparently flew off with the aircraft. Razak handled this perfectly, I am not sure if Razak is a genuius or he just stumbled into the approach of not acknowledging what happened. The major issue with depressurisation is not how to technically depressurize the plane but how to survive yourself. I invite you to look into the problems this causes. Effectively, you need a fair bit of equipment if you want to sufficiently kill everyone except you, and survive yourself. This is why suspicion had fallen on the Ukrainians on board who appear to have had training as professional divers, a skill that would come useful. The logical upshot is, if you want to base a theory on onboard hijackers, you need to explain how they handled the many many passengers and crew during an apparently hours long flight. Your options are: depressurisation – which however requires you to explain how the perp(so) survived themselves, ie how did they get the equipment on the plane and possibly did they have training. Your second option would be so many hijackers that they could control the rest without depressurisation, for example some of the Chinese. Your third option would be that the passengers had no idea they were being abducted until the end, which I can’t really picture. Last option, another method of mass murder besides depressurisation. This however would also with near certainty require several hijackers, as well as likely equipment. To sum up, the question of how this plane could have been hijacked and flown for many hours without the passengers or crew “making problems” is far from trivial and again implies that a one person pilot hijack seems quite implausible. In other words, Z handled it very badly, achieving nothing at all. @Somebody Somewhere, Many people have assumed, without looking into it, that air defence radar coverage would render a northern route impossible. Once you look into it, a different picture emerges. I respectfully, and acknowledging that it is my personal opinion, beg to differ. 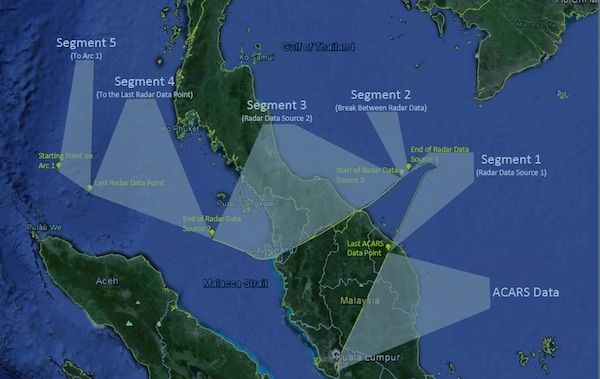 I even find it hard to believe that an unmarked, unannounced large airplane could be flown across the Malay peninsula. At the very latest, my credulity is at its very end once you expect me to believe that you can do the same thing crossing Tibet, not least since a Kazakhstan route would require flying over the very western part bordering Ladakh (and even if there was a theoretical chance of you getting lucky, I cannot believe that you, presumably Russian agents, would be prepared to take that risk this late into the mission. Even if you say you took a gamble as to where radars are – and in western Tibet your odds are really bad-, imagine after so many hours they would have been taken down by Chinese interceptors just a few miles from destination). Regarding our reboot, you know it could have been the Indian Ocean asset being switched on and being tested. As in, hijackers take over the plane between KL and southern Vietnam, switch off the on board SDU, call ground/mission control saying “plane is under control”, mission control calls Indian Ocean asset saying “go live”, Indian Ocean asset switches on transponder, transponder sends a first signal to sat, and the satellite responding as expected. If the cabin crew had a chance at the same oxygen mask as the captain, then it’s difficult as you say. But if the cockpit mask is better fitted and lasts longer, then it’s not so difficult. Another idea would be that it was done by surprise, and if he managed to somehow turn off a circuit breaker that dropped the masks down, it would be same as the Helios plane.. no warning, no chance. and one of the possible impacts is right on top of broken ridge, and one other location. Sound travels very well in water, so a drop out of the sky would’ve been picked up easily. A hudson on the river landing probably not as much, especially without breaking up. I wonder why nobody mentions this when they say it dropped straight down out of the sky at high speed? How come there is no sound then?.. Do they say it was just too far away… this could be calculated/simulated, and known if there should’ve been a sound or not. @Somebody Somewhere, You have spent no time studying either of these topics so your opinions have no value. It’s cool Jeff. Haha. Bye bye. Basically if he was flying in other countries, he would have been grounded based on his behaviour. Regarding the speculation above, MH370 had a very basic IFE system, with no internet and no outside phones. The handsets if activated could only be used to call other seats on the aircraft. There may have been SMS/Text message capability if that option was activated from the cockpit…apparently none were sent according to the complete Inmarsat transcript that was disclosed a while back. The above from memory so somebody correct me if I madew a mistake. @Chris, The piece you link to is pretty dubious. The fact that Zaharie critized Razak–a thoroughly crooked politician now facing trial for embezzling hundreds of millions of dollars–is a sign of his character and sanity, not the reverse. I would also point out that Geoffrey Thomas is a major misinformation vector concerning MH370. @Jeff I agree that the facts about the pilot’s rants don’t jump to suicide whatsoever… And commenting on the hotness of other women don’t either, although it may speak something about his relationship. Even if his relationship was going south, I still don’t see how he’d be so upset if he was checking out other women on Facebook.. It is almost impossible to get accurate information from a lone internet site. It really only offers validity if you are willing to search a multitude of sites for a general concensus and baseline, then you begin reaching further for the truth. A gargantuan time consumer, wading through words created by individuals, who may or may not regard the truth of those words as relevant. The link you posted has several variations all spun from a single tale, another tactic to make the solo article appear as widespread research rather than sketchy journalism spread by the neophytes who misunderstand the integrity. I suspect if you are sincere, it will become an integral process before commenting on cherry picked journalism. If not, it should be fairly obvious. @Susie Crowe It is true that there is a lot of hyping up of things for media purpose.. Someone should make a website with a list of hard facts that we know for sure and are verified, along with a timeline. Things like what components the left bus controls, how accurate is the ground radar, how was it possible to get clocked at such high speed on radar, how difficult it would be to contact someone from the plane with a cell phone when it flew over Malaysia, also that there was a emergency transmitting device in the cabin that the crew could’ve used, along with a sat comm, … how would it be possible that the emergency beacons didn’t send out a signal, and did the landing on the hudson send out a signal.. How was it possible the underwater mics didn’t pick up anything..
How come ATC didn’t see MH370 turn back on primary..they don’t have primary there? Lots of unanswered questions.. I think if every little thing was questions and made to fit within a plausible scenario that makes all pieces fit, it may be possible to get somewhat of an understanding of what happened.. at least something that fits, it may wrong,.. but to fit the facts and satisfy all the strangeness, like how the parts broke up, the aquatic life on them, and all the other questions from above. It seems very strange that with all experts and even pieces of the plane, and satellite data, and still there isn’t a plausible story of what happened that fits all the facts..